"Oh why the long face? You've got it all wrong. We'll choke chain them all." I hope that you're all having a great week! The Gas mask on my female AV is at this round of The Mens Department and can be bought in a bunch of colours. 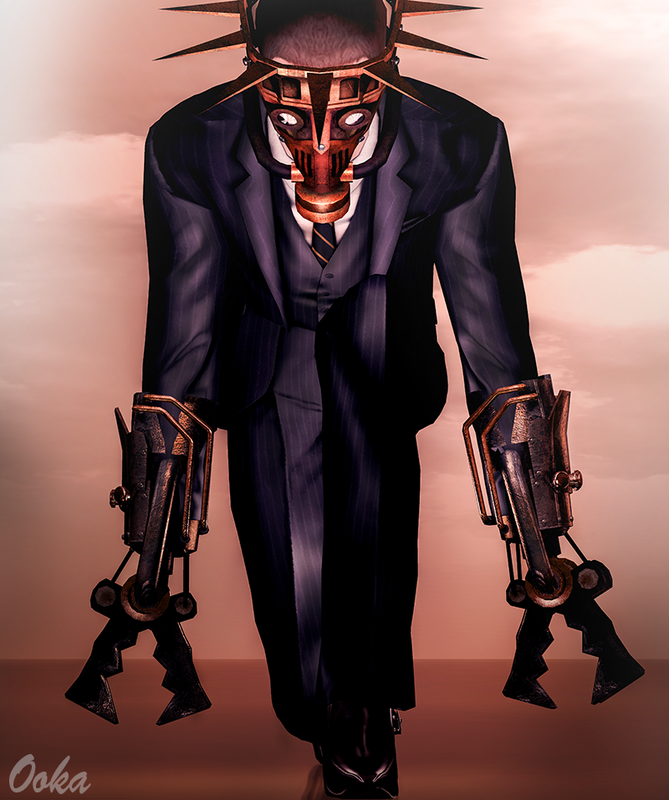 The mask and the claws on him are also from [Contraption], they were made for Men's Fashion Week which has already finished but they will be re-released in store so make sure to keep an eye out for them. "Fates favor the ones who help themselves"